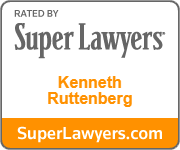 Our passionate employment lawyers at The Ruttenberg Law Firm, P.C. 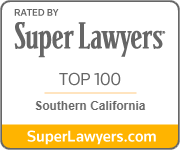 in Los Angeles help people throughout California with work-related disputes. Our team is dedicated to fighting on behalf of victims of sexual harassment, discrimination, wrongful termination and other workplace wrongs. Our team includes attorneys with decades of experience and lengthy track records of favorable outcomes, and we have the skills and resources to present convincing, evidence-backed cases for our clients. As local attorneys with deep roots in the community, we are known among judges, opposing counsel and past clients for our positive reputation and commitment to excellence. Our seasoned lawyers include partners who are AV® Preeminent™ Peer Review Rated by Martindale-Hubbell® for their high ethical standards and legal ability, as well as attorneys designated as Super Lawyers. 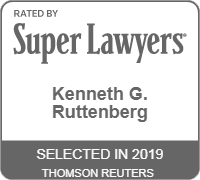 Ken Ruttenberg was named to the list of Top 100 Southern California Super Lawyers from 2015 through 2019. Sexual harassment — We represent victims in sexual harassment cases such as those involving allegations of sexting, inappropriate touching, lewd comments or photos, and unwanted sexual advances. Discrimination — Employers commit illegal employment discrimination when they practice or allow unfair treatment of employees because of their age, race, religion, gender, disability, medical condition or another protected characteristic. Our attorneys take a firm stance against these types of injustices. Wrongful termination — If you were fired in retaliation for reporting wrongdoings at work, for asserting your employment rights or for another reason made illegal by state or federal law, our attorneys can build a wrongful termination case on your behalf. We also handle constructive termination suits when employees resign because of intolerable working conditions. 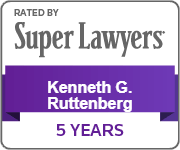 At The Ruttenberg Law Firm, P.C., we also assert the employment rights of individuals who have had wages withheld or who’ve been denied other rights. We possess the skills and resources to represent high-profile whistleblowers and to handle class action lawsuits. Because some of our highly experienced attorneys represent employers, we maintain critical insight into employer tactics. This enables us to anticipate how employers will think and act in employment disputes. When you choose The Ruttenberg Law Firm, P.C., one of our experienced employment lawyers will provide individualized attention to your case from the first meeting until your case is resolved. Our office is committed to responsive and helpful communication. To put together a strong legal argument on your behalf, we will conduct interviews, collect evidence and perform any necessary investigations and research. Utilizing our knowledge of case law and past outcomes, along with our experience working on both sides of employment law, we will aggressively seek the full compensation you deserve. We aim to resolve employment termination cases and other disputes by negotiating fair settlements without the need to go to trial. If litigation is required, you can rely on your experienced counselor to deliver assertive and compelling representation. The attorneys at The Ruttenberg Law Firm, P.C. in Los Angeles fight for employees in California when employers violate their rights. We are conveniently located near Santa Monica and the UCLA campus. To schedule your free initial consultation, call us at (310) 979-7080 or contact us online. We offer flexible hours and will charge no attorney fees unless we achieve a favorable outcome for you. $313,000 Former manufacturing company employee who was subjected to sexual harassment by her supervisor. Based on my experience with Ken, he is professional, dependable and knowledgeable. He quickly responds to emails and is efficient in his work. He is patient and guided me through an otherwise complicated process. I am glad to have found him. "I am so happy with the settlement. I have been worried all week. Thank you so much for helping me. This will make such a big difference in my life, more than you know."